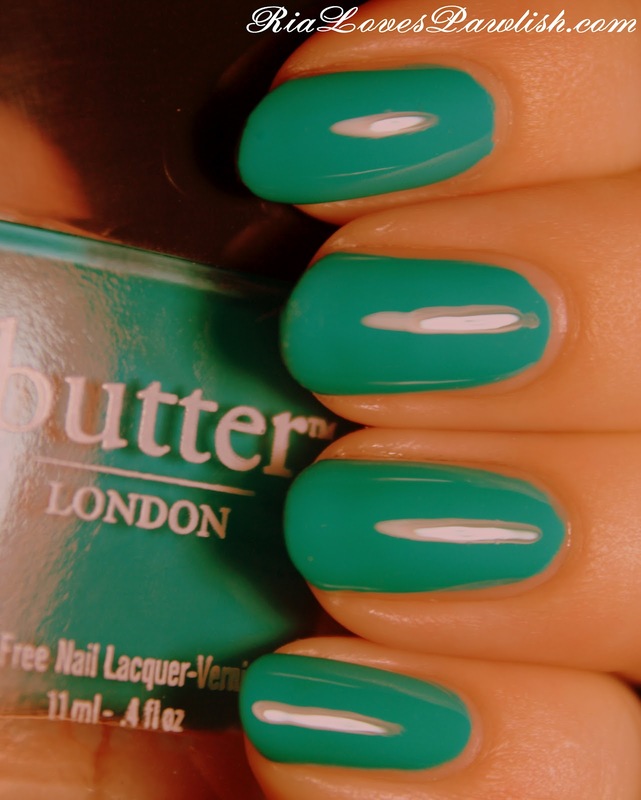 today's polish is Butter London Slapper, one of the Butters i picked up at Ulta's sale. it's a stunning bright teal creme with an awesome formula, two super easy for full, shiny opacity! the brush is also easy to work with, so the whole polishing experience is perfect. the only problem with this polish is getting its color to show up accurately in a photo! i was hoping it wasn't just me so i searched around online... and it seems most people had the same issue. i adjusted the color a bit in editting, but it's still a polish you want to see in person, it's beautiful! two coats Slapper, one coat Poshe Topcoat. the color is even more vibrant and saturated than my picture can show! sorry my skin looks so orange... that's from the editting to make the polish look more true to life.